Rep. Robert Cornejo, R-St. Peters, sponsored the municipal governance overhaul in the House. What the legislature did last year was widely hailed as the most significant public policy change since Michael Brown’s death. Rep. Robert Cornejo, R-St. Peters, said this year’s legislation seeks to ease distrust between low-income residents and their governments. This year’s bill also makes it easier for cities around the state to dissolve. For one thing, it lowers the amount of signatures needed to trigger a disincorporation election. And it lowers the percentage of the vote needed to dissolve a city to 50 percent from 60 percent. 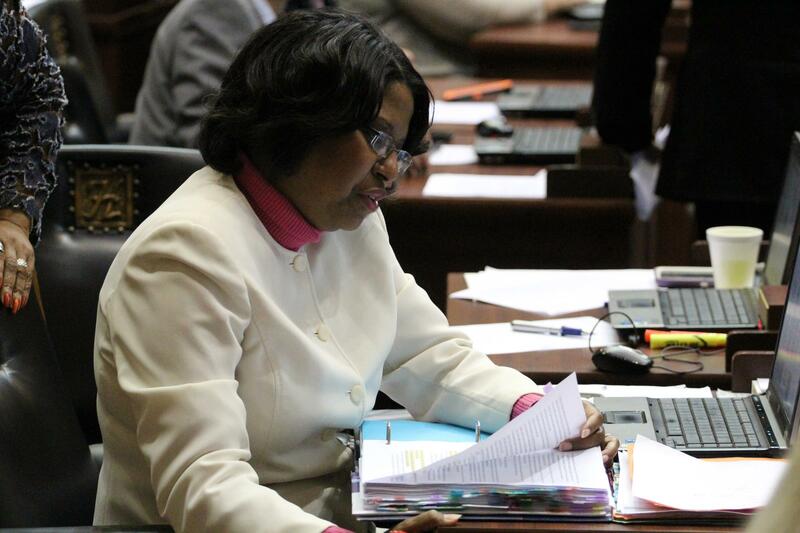 State Rep. Rochelle Walton Gray, D-Black Jack, voted against Cornejo's bill. Still, the bill only received 98 votes – far less than 109 to overcome a potential veto by Gov. Jay Nixon. Some lawmakers like Rep. Rochelle Walton Gray, D-Black Jack, contend that lawmakers should focus more on how police officers are trained and held accountable. 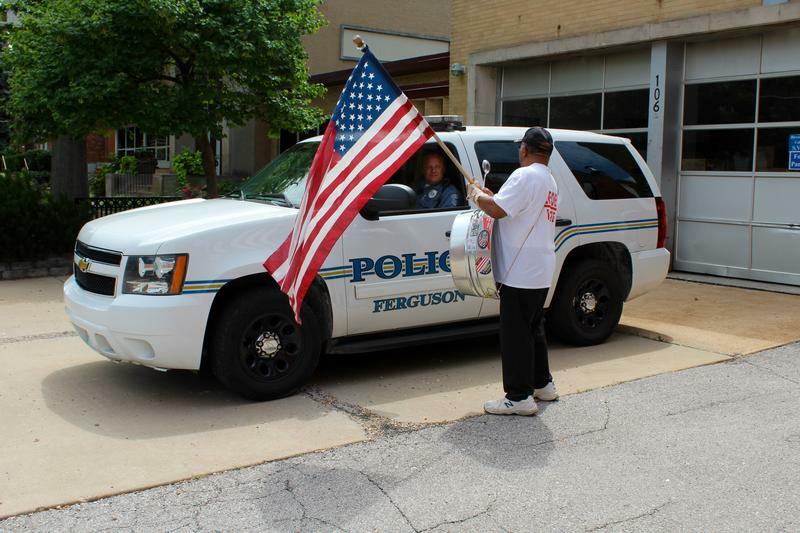 Cornejo said lawmakers have acted on some important Ferguson-related ideas. He pointed to a bill – also on the governor’s desk -- that restricts the release of body camera footage, which could provide an incentive for police departments to use the devices. Also on Thursday, the House gave final approval to an alteration to St. Louis County’s sales tax distribution system. The measure tucked in a larger local government bill would, under certain circumstances, allows “pool cities” to keep at least 50 percent of their revenues. It would likely result in more revenue for cities like Chesterfield, which has sought for years to change the parameters of the pool. “I think it brings back some fairness to the pool,” said state Sen. Dave Schatz, R-Sullivan. 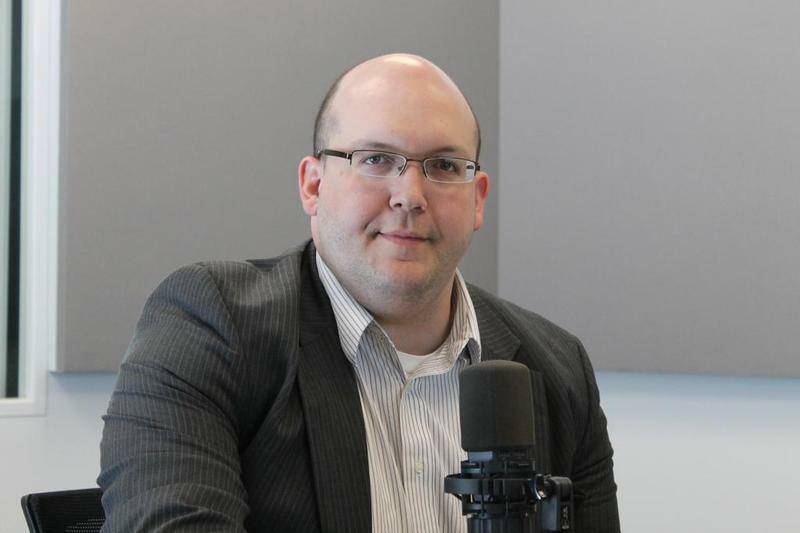 “Right now, there’s a disincentive for folks that may want to expand economically. If you do that and you’re growing the tax base and you’re getting less than 50 percent? I don’t even think 50 percent is fair. I think it should be more than that. But I knew that was as far as it’s going to push the envelope. Still, some House members were dismayed that the bill did not authorize a vote on sales tax hike in unincorporated St. Louis County for the St. Louis County Police Department. The original bill had that provision, but it was taken out after Sen. Maria Chappelle-Nadal, D-University City, expressed strong opposition to the measure. Schatz also handled another bill with the sales tax pool changes that passed the Senate on Thursday. He said there may be some issues with the broader local government bill that included the pool changes that went to Nixon. Beer companies could lease portable refrigerators to grocers and convenience stores, which could also sell refillable draft beer containers, known as growlers. Missouri Gaming Commission will get authority to license daily fantasy sports sites such as FanDuel and DraftKings. The state would collect roughly 21.5 percent of a daily fantasy site's annual income. People would need a photo ID and the state would help the poor get the documents needed. A person with nonphoto identification would be allowed to vote if he or signed an affidavit attesting to their identity. One of the major crime bills in the legislature was amended in the House to include a controversial Stand Your Ground provision. That prompted a filibuster in the Senate, which led Sen. Bob Dixon to shelve the measure. Early in the last week the General Assembly approved a measure that would let pharmacists sell naloxone, an opioid overdose antidote, without a prescription. But on Thursday, the Senate apparently killed a proposal that would set up a prescription drug monitoring database. Missouri is the only state that does not have one. 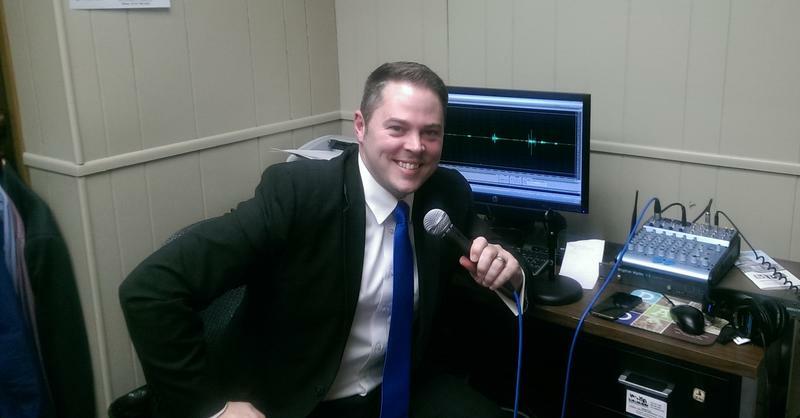 On the latest edition of the Politically Speaking podcast, St. Louis Public Radio’s Jason Rosenbaum and Jo Mannies are pleased to welcome state Rep. Elijah Haahr to the show for the first time. 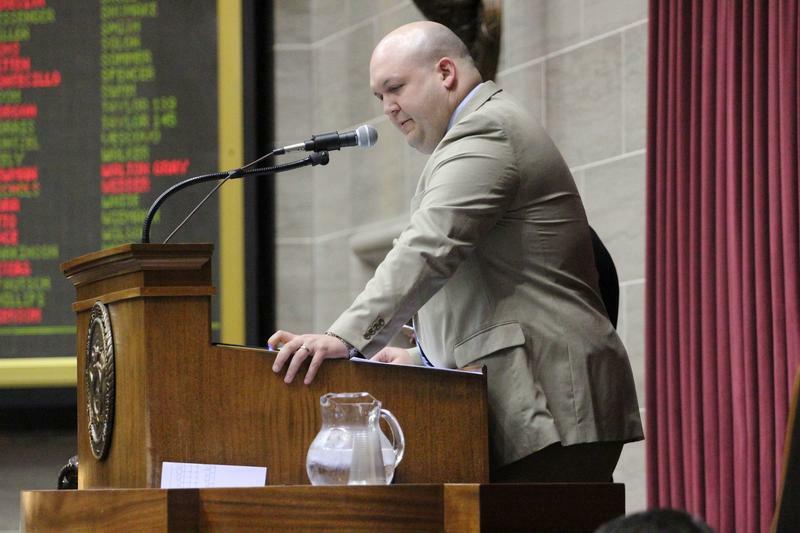 The Springfield Republican was first elected to the Missouri House in 2012. Haahr represents a somewhat suburban area of Springfield, an area that encompasses a very popular Bass Pro Shop. And he is chairman of the House Emerging Issues Committee, which has been a staging area for some high-profile pieces of legislation. This article first appeared in the St. Louis Beacon: Sherry Brackins is part of an exclusive group of St. Louis County residents who hail from Uplands Park. But if she had her way, Brackins would reside in a bigger governmental entity – unincorporated St. Louis County.